Located in the heart of Arvada CO Hilton Garden Inn Arvada Denver is one block from the city*s famed Olde Town District. Just off of I-70 the hotel is convenient to downtown Denver just 15 minutes away. The Light Rail System is also nearby offering easy access to the airport area businesses the Colorado Convention Center Downtown Denver and much more. Enjoy thoughtful amenities at our Arvada CO hotel including complimentary WiFi a microwave mini-fridge and Keurig coffeemaker in every room. Recline on the comfortable Garden Sleeper Plush Mattress System bed for a restful night*s sleep. Upgrade your room to enjoy extra space and amenities plus views of the Rocky Mountains. Enjoy American Classics for breakfast and dinner at our on-site restaurant or order evening room service available daily. You*ll also find restaurants within walking distance of the hotel. Stay fit with an invigorating workout in the fitness center or swim in the indoor saline pool. 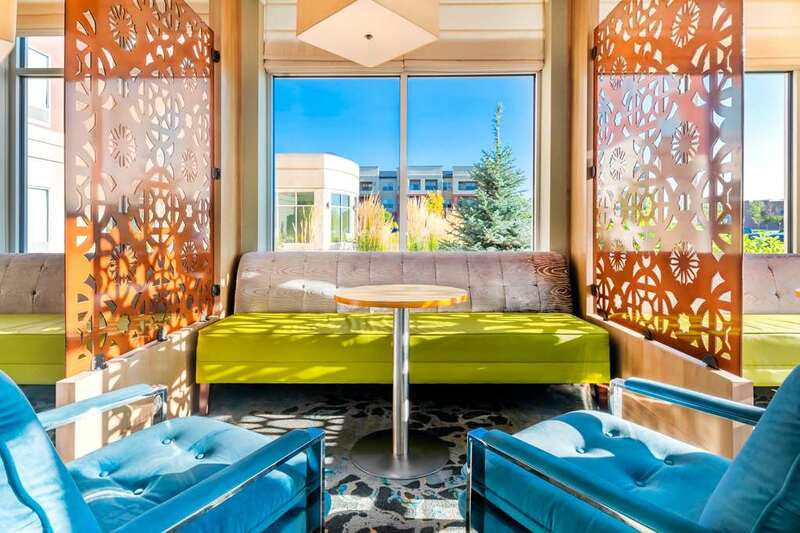 Plan your business meeting or wedding at this Denver-area hotel with over 2 500 sq. ft. of space for up to 188 guests banquet-style.